Colorado, much like it’s neighboring states Wyoming and Utah is known for quality trout fly fishing. Most people that come to Colorado to experience fly fishing, go trout fishing. The rivers and lakes, for the most part, are chock-full of trout. In the local angling community, most of us start out as trout anglers, as the ease of access and information is nearby. But, given how versatile fly fishing is, targeting other species can be a blast. It can provide a nice change up from the classic trout fishing and lead to some great adventures and challenges. So if you are looking to switch it up and chase a different species, here are the top 5 “other” species to catch on the fly here in Colorado. Pike have become a popular target in recent years for anglers throughout Colorado. Known for their aggressive strikes, large size, and fun sight fishing opportunities. They are considered to be highly invasive (they make great fish tacos), so be sure to check on current regulations. They can be found throughout Colorado on many reservoirs. With popular places being the Stage Coach Reservoir (yielded the state record of a fish over 30 pounds), Williams Fork Reservoir, Harvey Gap, Eleven Mile Reservoir, Spinney Mountain Reservoir, and the Yampa River. The most productive times of year to target pike can be in the spring, early summer, and fall. As the fish are in the shallows and water temps are sufficient for active feeding. Finding that right water temperature (usually around that 60 degree mark) can be key to getting strikes. It definitely may take some time and unsuccessful missions to learn successful tactics but the sheer aggression of the fish makes it worth the effort. 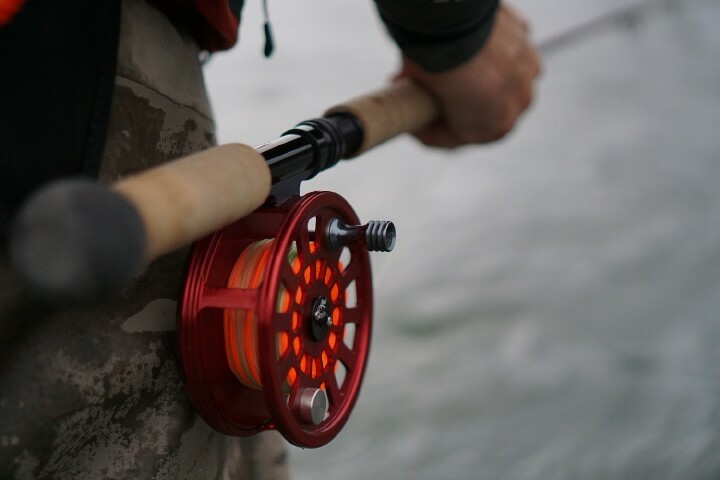 Make sure you’re lined out with the right gear, as a heavier rod, wire tippet, and pike flies are all a must. Kokanee salmon is a species of landlocked salmon very similar to their distant cousins the sockeye salmon. The salmon are born along the river banks but then migrate to a lake or reservoir where they spend most of their adult lives. Typically 4 years or so. And then they migrate back up the river to their birthplace to spawn and eventually die. When this spawning occurs they become a fun target for the fly angler. Typically, anglers can target kokanee in September and October depending on the year and fishery. They can be found in a variety of different river systems including the South Platte, Blue River, Gunnison and a few more. Similar trout nymphing tactics can assure success. With fly preferences being somewhat straightforward. Red San Juan worms and a variety of egg patterns have always been a staple. The average size is similar to trout (a couple pounds), with the state record around 6 pounds. The unique colors and obscure hook jaw and teeth make them a fish worth catching. If you have never caught a Kokanee definitely put it on the list for a fall fishing trip. The ever so attractive carp. A warm water species, carp can be found throughout Colorado in various lakes, ponds, slough, and rivers. Their cunning ability to refuse flies and spook, make them a perfect challenge for every fly angler. Often nicknamed the “Golden Bonefish,” targeting carp is a lot like saltwater fly fishing. A 6-8 weight rod with a floating line is the preferred setup to chase carp. Be sure to load up on a few different carp flies. Specific techniques, locations, and water temperatures can aid in the success of landing a carp. Learn more about what makes this species so much fun to target with a fly rod 5 Reasons to Fly Fish for Carp. Lake Trout or Mackinaw is the largest member of the char family, often much larger than their cousins the brook trout (state record is over 40 pounds). Lake trout prefer colder deeper water where they spend most of their time during the year. But, typically in the fall, the Mackinaw will begin to spawn which will bring them closer to the shore. Making them a viable target for fly anglers. Being aggressive predators, lake trout are best fished with larger rods 7-9 weights, with sink tips and big streamer and saltwater fly patterns. Some thorough planning can be key to success as to where and when these elusive fish will cruise into the shallows. In Colorado, there are a number of reservoirs and lakes that hold large populations. 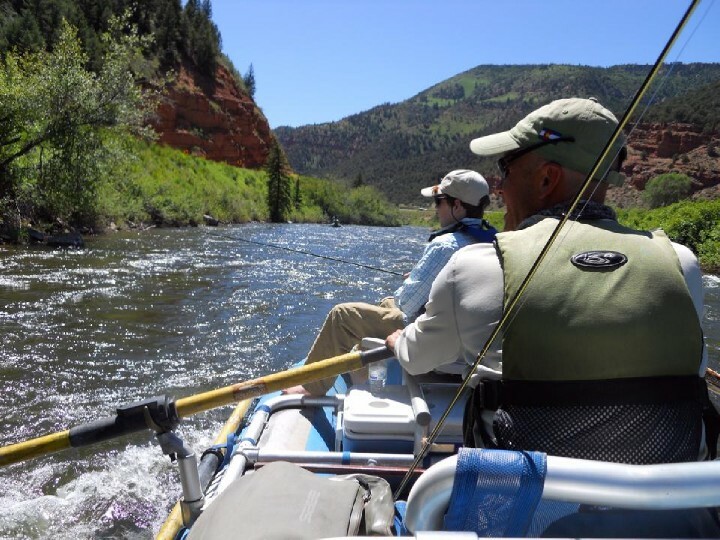 Blue Mesa Reservoir, Green Mountain Reservoir, and Ruedi Reservoir are some great options to check out. Often a bycatch when fishing for trout, suckers typically have a bad wrap in the fly fishing community. They really only eat nymphs, are very slimy, and have a weird mouth. But, they are an integral part of the river ecosystems. Most of these fish are native to Colorado unlike many of the trout species. Specifically, the Flannel Mouth Sucker, Bluehead Sucker, Mountain Sucker, and Rio Grande Sucker are all native to the state of Colorado. Try to check all those different species off your list, I dare you! As for targeting these fish, typical deep nymphing rigs in faster deep water can be effective. Tungsten bead head flies or egg patterns work well. The Flannel Mouth suckers can be found on local rivers like the Eagle, Roaring Fork and Colorado River. They can reach up to 5 pounds in these systems and put up quite the fight. 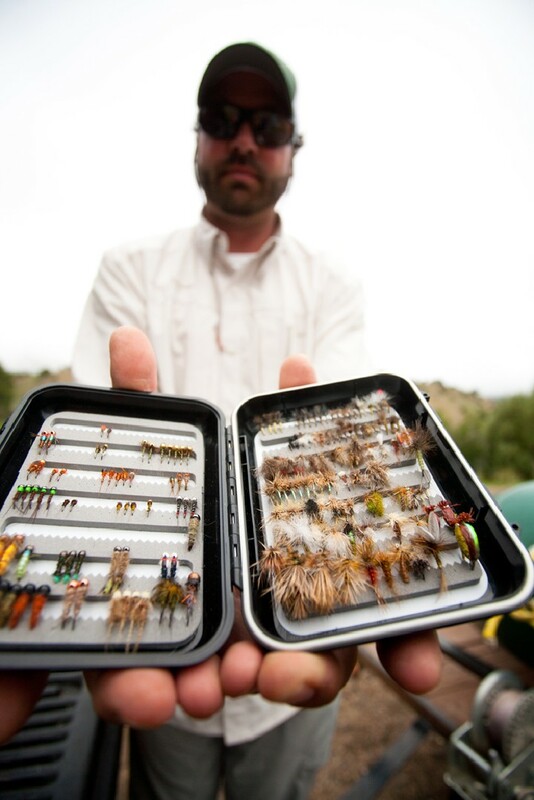 While the species’ listed above round out the top five there are plenty more species that can be caught on a fly throughout Colorado. To list a few the Rocky Mountain Whitefish, Grayling, Small and Large Mouth Bass, Wiper and Tiger Musky. Targeting a variety of different species other than trout can provide some exciting fly fishing opportunities as well a many challenges to overcome in the pursuit. Be sure to swing by the shop or give us a call to learn more about how to target these different species.